Who will care for you in your time of need? The answer matters now more than ever. For decades, study after study has shown that RNs improve health-care outcomes and health system efficiency. 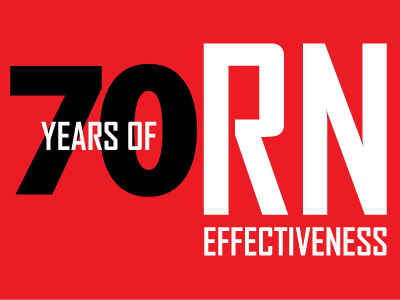 And now that evidence is all together in one place: RNAO's 70 years of RN effectiveness database. RNAO's research team scoured 70 years of peer-reviewed studies into the effectiveness of RNs, and found overwhelming evidence that RNs increase quality of care, reduce mortality, and increase organizational safety – just to name a few positive outcomes. In fact, of the more than 600 studies compiled in the database, more than 95 per cent show that RNs have a positive impact. But despite this evidence, Ontarians are not always treated by the RNs they need. The ratio of RNs per person in Ontario is plummeting, and RNs are regularly being replaced with less-educated care providers. RNAO raised these issues and more in 2016 with our Mind the safety gap in health system transformation report, and the evidence in this database only make the situation more urgent. The full database was unveiled at Queen's Park in May 2017, along with a detailed backgrounder. Now it's the provincial government's turn to heed the evidence and restore the role of the RN for the good of Ontarians. The database file is in EndNote, and will require the program to view. You can download EndNote here (there is a 30 day trial version available).